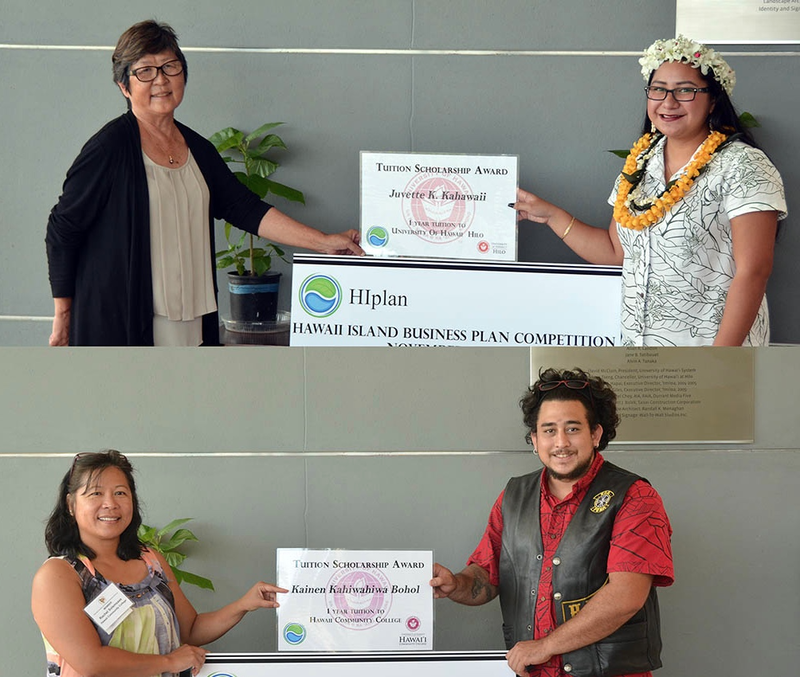 UH-Hilo Chancellor Marcia Sakai (top_ presents the HIplan Tuition Scholarship to Juvette Kahawai‘i. HCC Chancellor Rachel Solemsaas (bottom) presents the HIplan Tuition Scholarship to Kainen Bohol. 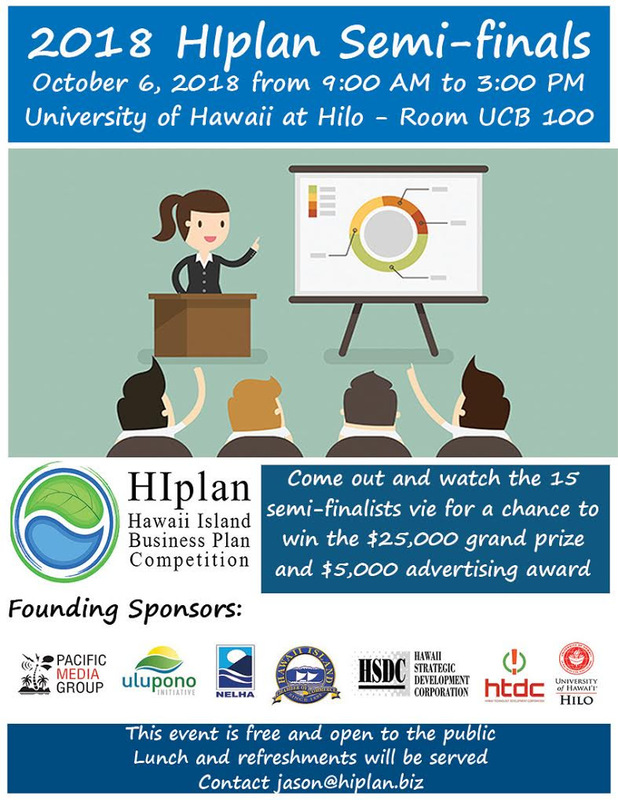 Two undergraduates—one at the University of Hawai‘i at Hilo and one at Hilo Community College—have won a year’s free tuition for the business plans they submitted to the HIplan business plan competition. 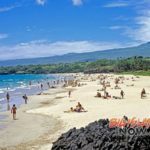 Juvette K. Kahawai‘i, 21, a senior at UH Hilo’s College of Business and Economics, submitted a plan to launch Kupa‘a Tax and Accounting Corporation, a family business that would provide tax preparation and bookkeeping services, and payroll administration for Hawai‘i Island businesses. Her UH Hilo tuition amounts to about $7,200. Kainen Kahiwahiwa Bohol, 26, who is taking classes at HCC, submitted a plan to create Lava Forge Metalcraft. 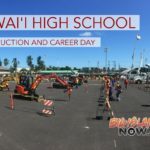 It would make salable and exportable furniture, tools and decorative items from the scrap materials that are typically discarded by HCC’s Welding and Machining Program. His tuition would cost about $4,800. 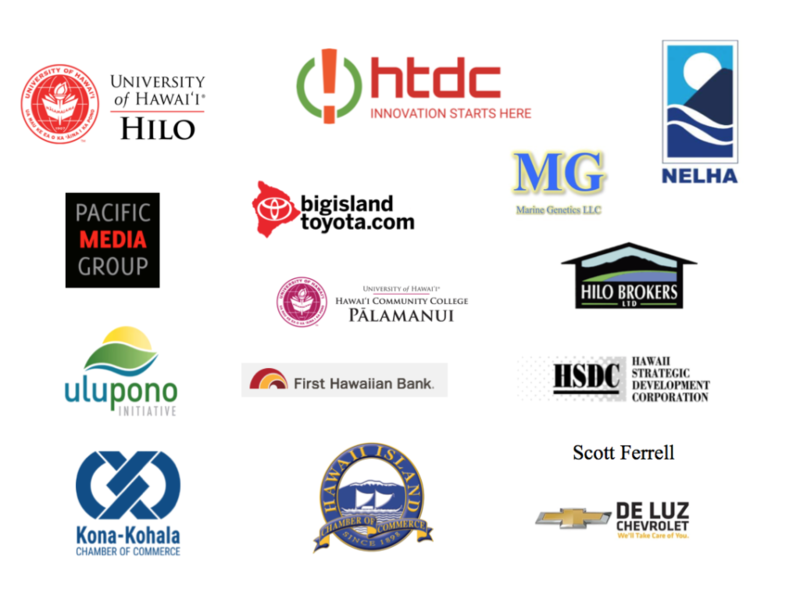 Kahawai‘i’s proposed corporation would be a family business. Besides herself, the company would include her father, who is a tax preparer; her mother, who will head up the office staff; and her brother-in-law, who specializes in setting up business computer systems. He intends to use his scholarship for liberal arts courses at HCC, to round out his education, potentially giving him more ideas for items to make. 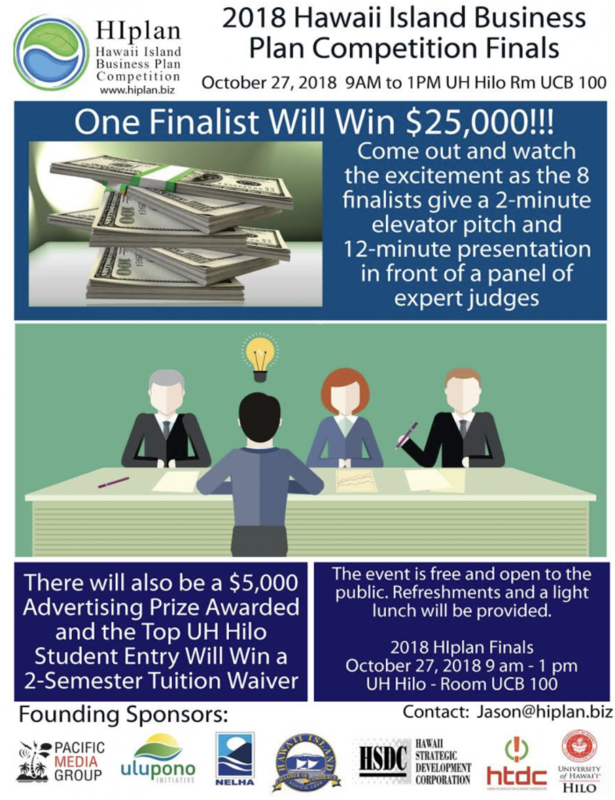 The tuition scholarships for student contestants are a new addition to the competition this year. 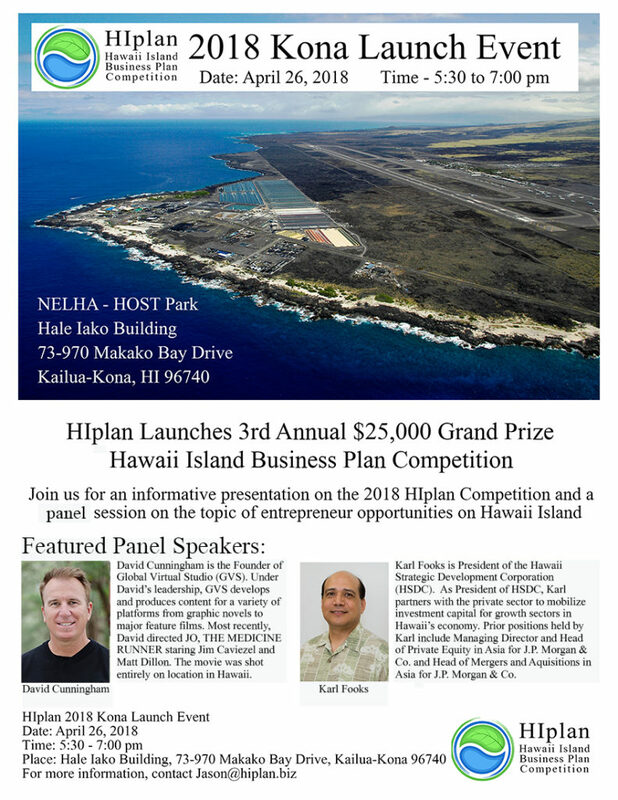 The ceremony will start at 9 a.m. at Hale Iako at NELHA in Kailua-Kona.